Arenal Volcano – watch the fiery volcano and night and explore the surrounding forest and hot springs by day. Arrive in San Jose where you’ll be met and taken to your city center hotel and your Costa Rica Vacation begins! 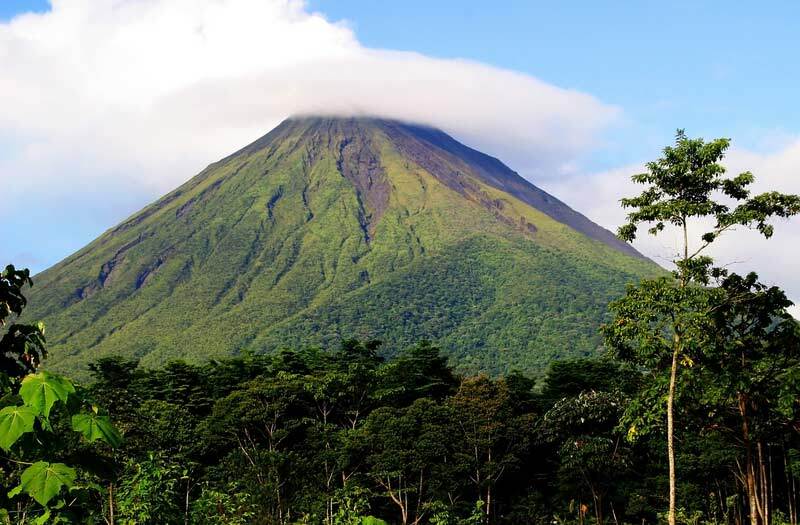 Travel to Arenal National Park; home to 16 protected reserves, the smoking Arenal Volcano and abundant wildlife. 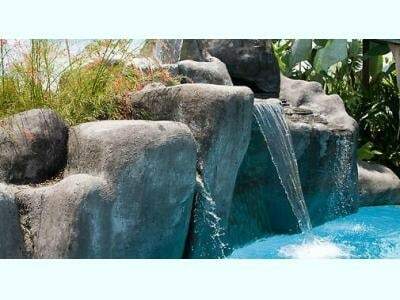 Your hotel has its own hot springs and gardens. Arenal Volcano has been constantly active since it woke up after 400 years. One of the world’s most active volcanoes, Arenal produces huge ash columns, explosions and glowing red lava almost every day, but night time is when you can see the most spectacular vies of fiery lava. Today is all about horse riding in the mountains to secluded waterfalls. Riding is with expert guides and suitable for all levels. Enjoy a swim in the waterfall before returning for lunch. In the afternoon, take a walk up the safe slopes of the active Arenal. Soak in the mountainside hot springs and enjoy the sunset over dinner before returning to your hotel in the dark. Look out for hot lava spouting form the volcano as you head back. From the time that pacifist Quakers chose Monteverde as a environmentally friendly home, this area of protected cloud forest has been a special place. This reserve is considered to be among the most exceptional wildlife sanctuaries in the New World Tropics. It is a wonderful place to observe sloth, porcupines, white faced monkeys and the quetzal bird. Spend the night at a cozy lodge on the edge of the Reserve. Explore the forest canopy from above ground in an amazing complex of walkways, canopy trams and zip lines. Travel through the cloud forest at heights of 72 feet (22m) above the ground. Miles of cables and trails connected by observation give you the perfect way the observe the reserve’s flora and fauna and extensive views of the Guancastle and Puntarenas lowlands. On the Sky Tram, travel safely up to on of the highest mountains of Monteverde and to the Continental Divide. Primary and secondary forest descending to beautiful white sandy beaches makes Manuel Antonio the perfect beach getaway for lovers of nature. Travel in your private car to the small town of Quepos on the edge of the National Park. Stay in a garden villa on the edge of town. This long standing park features mangroves, a lagoon, beautiful beaches and winding parks. Explore the park and its trails amongst monkeys, sloths and tropical birds; or spend the day relaxing on the beach. We take you to San Jose for your flight hom- the end of a fabulous Costa Rica vacaton.